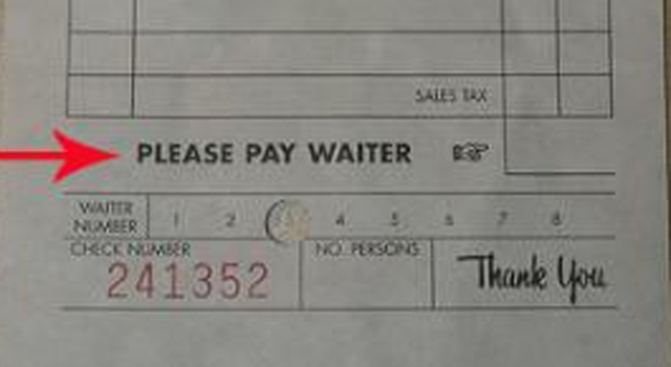 Your waiter might really need that tip more than you know. California is one of seven states that prohibit a tip credit, requiring that waiters earn the same minimum wage as everybody else ... San Francisco, which has its own $9.79 minimum wage, could legally decide to reduce waiters' pay to the state minimum wage of $8 without breaking California's no-tip-credit law. In other words, anyone who gets a tip would conceivably make lower than the city's minimum wage. Westlye goes on to compare the plights of a full-time cook that earns $15 an hour ($31,000 a year) with that of a waiter often makes $30 an hour with tips ($62,000 a year) ... with the curious upshot being that the waiter should be earning crap money too?